When you talk about the 2010 Chicago Bears it’s hard to have a conversation without the word “respect” coming into play. 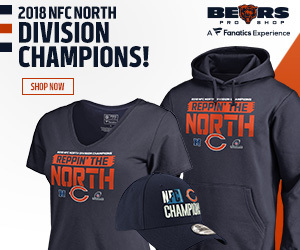 It’s a word I hope to hear a lot more as the season goes on, because the more I hear about how the Bears aren’t getting any “respect” the more likely it will be that they are winning consistently. A win in Dallas was big, a win against the Packers at home was bigger. Yet somehow the Bears are still not convincing everyone. In the latest edition of the “experts” picks on ESPN only half of the guys picked the Bears to win. Accuscore, a service which conducts over 10,000 simulations of each game, picks the Giants as well. Over at Yahoo! Sports, two of the three “experts” pick the Giants to win on Sunday night. At CBSSports the Bears get a little love with two of three “experts” picking the Bears to win. The Bears get the most love at NFL.com, where all three “experts” like Chicago over New York. It’s just one game, and I don’t expect everyone to pick the Bears each week, but it’s clear there are a lot of non-believers out there. So why is it that they can’t buy in? Why is it that even after a 3-0 start, nobody believes that the Bears are the best team in the NFC? Surely it’s got to be the way they’ve won. Obviously the Calvin Johnson play hurts. Watching some show on ESPN the other day two people both stated that the Bears were “actually 2-1.” The win in Dallas was big, and was clearly their most balanced game. Nobody could deny that the Bears were the better team that day, though most of the chatter that ensued was about the fall of Cowboys rather than the rise of the Bears. The game on Monday versus the Packers didn’t help either. Eighteen penalties later the Bears had squeezed by and the mistakes by Green Bay were enough to leave many to wonder whether the Bears had won the game or the Packers had given it away. Stats don’t tell the whole story, and I am sure most watched the Bears on Monday night, but a look at the numbers was comforting, I think. One thing I noticed in my stat hunt was the “big play factor.” Jay Cutler is averaging 9.6 yards per attempt, tops in the NFL. On defense the Bears have completely shut down the opponents running game. Against the Lions and the Cowboys the longest runs allowed were eight yards, one by Jahvid Best, the other by Marion Barber. Those two teams combined for 58 yards rushing. And even though both Dallas and Green Bay moved the ball well through the air, the longest pass the Chicago defense has allowed this season has only gone for 28 yards. Despite teams basically abandoning the running game, the Bears have only allowed 6.6 yards per attempt this season (tied for 9th in the NFL). The 130 passing attempts against Chicago is the 3rd most in the NFL. 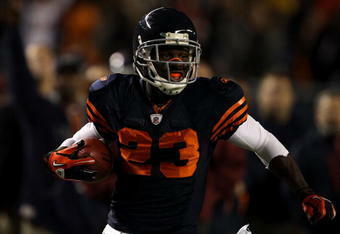 On receptions, the Bears are allowing an average of 9.8 yards per play, 5th in the NFL. When Cutler completes a pass, it goes for an average of 14.5 yards, 2nd in the NFL behind only San Diego. It is what you are hearing, the whole “bend but don’t break” thing, and what I think the experts believe is that the style of defense the Bears play can’t sustain itself. What I saw against the Packers was encouraging, though extremely frustrating to watch. The Bears forced the Packers to go on long drives, both time and play wise, and eventually forced them into making mistakes. But what if those mistakes aren’t made? Can the Bears style of defense, or maybe more so the talent in the secondary, prevent a really solid offensive team from scoring at will? I think this is what the “experts” see in the Bears. They see a Calvin Johnson game winning touchdown being taken away, they see a Packer team (which many of them picked to go to the Super Bowl or close to it) that committed 18 penalties en-route to a three point loss. They see Cutler throwing five interceptions, but the Green Bay defense only recording one. They see a team that can’t run the ball what-so-ever and whose offensive line is a borderline nightmare at times.